Until recently, I wasn’t aware that C.S. Lewis had written anything but children’s books, having only ever read the Chronicles of Narnia books when I was younger. But while I’ve been browsing blogs on WordPress I’ve seen this book mentioned quite a lot, so I decided to buy it while I was a Waterstones with Vicky today, along with Have a Little Faith by Mitch Albom and Veronika Decides to Die by Paulo Coelho. 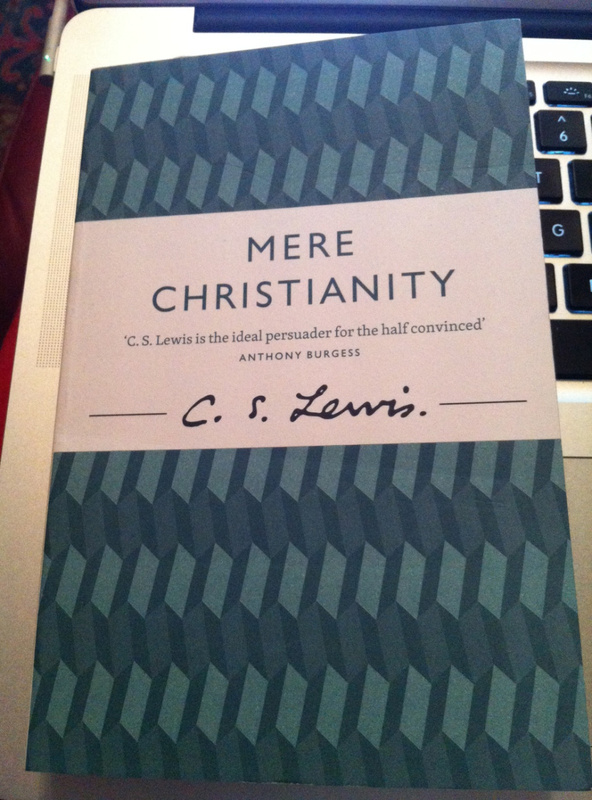 The book is a series of lectures that Lewis was asked to give by the BBC during the second world war. The lectures apparently ‘brought comfort to millions in times of war and uncertainty’ and ‘remind us of the truly important things in life’. I’m not sure yet what to expect, but I’m looking forward to seeing Lewis as more than just the creator of a magical world like Narnia. Wow, you’re just flying through these books! I’ve given up on my challenge, going to drop it by 2/3 so I can enjoy the bigger historical books that I like to read, and I’m finding more of my energy is going towards blogging and photography, so I’m hoping it sounds less like an excuse and more like a compromise. Also, the Mitch Albom book was made into a Hallmark Classic film a few years ago and was really good, so after you read it you should check the film out, see how it compares. Good luck with this one, I keep hearing its amazing too, and I know I’ll read it sometime! I may be flying through, but I’m still 5 books behind, I’m finding it very hard to keep up. I could try reading some shorter books to catch up but I’m still just reading the books I want to read. Dropping your target seems like a wise idea, especially so you can read the books you want to read and keep up with the other things you love.